“What if they just took the boat”, asked Nate DiMeo of podcast “the memory palace”. Robert Smalls knew these waters. He could read the tides. Smalls couldn’t read, since they didn’t teach slaves how to read, but Smalls knew the ocean. 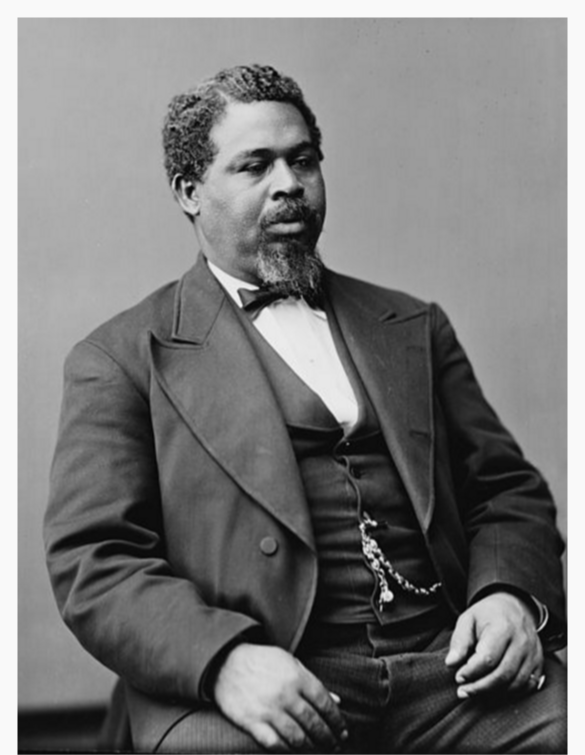 The idea of Robert Smalls of South Carolina freeing blacks and their families by stealing a Confederate ship, the CSS Planter, started off as a joke, one that eventually turned into a plan. All Smalls and the others needed to do was find the right moment and sail the ship from the Charleston harbor to the U.S. blockade. As DiMeo notes, planning for the courageous escape was tricky. The slaves needed to get enough distance between themselves and the shore before anyone raised the alarm. The ship would pass right by Fort Johnson and Fort Sumter, so they needed to get there before dawn so no one would notice that there weren’t any white faces on board. Smalls had bought his wife, Hannah, for $800 from her owner, but knew that wouldn’t keep neither her nor his children safe. He needed to do more. Much more. Seven seamen had signed up for the journey and agreed to put their lives in Smalls’ hands as well, so Smalls told his wife he needed her on that boat. This may be his last chance to save his family, Smalls told his wife, and though he might die trying, he was going to take that chance. He was going to take the wheel. “At 3am, Robert broke into the captain’s quarter and stole his uniform, pistol and the broad straw cap he used to keep the sun from his eyes,” said DiMeo in his retelling. When the other seamen and their families returned to the boat, Smalls raised the Confederate flag and set sail. He whistled out all the necessary signals required to pass during sailing. Dawn caught them as well, but Robert, wearing the captain’s uniform and straw hat, faked it. By the time anyone noticed that the ship had turned in the wrong direction, Smalls’ and his ship was out of reach. Smalls was successful; In the end he freed himself and his crew and their families on May 13, 1862. He would later use his knowledge of Confederate schedules and plans to aide the Union. Smalls swayed President Abraham Lincoln to free and arm the slaves when the two men met, according to some. Gee I would love to see a movie like that. To all you guys of color, who do that. Faked being white?? How he do that?? My Uncle Ryan got a very nice Volkswagen Jetta SportWagen just by working online at home… go now…………. Makemoney10.COM????????? I wish that this brave man drowned Wujol and other spamming white trash.